Healthy Living Summit is allllmost here! Tonight I headed down to Pilsen (on the south side of Chicago- I know, Mom, it’s scary. I brought my billy club with me so I was safe, don’t worry.) 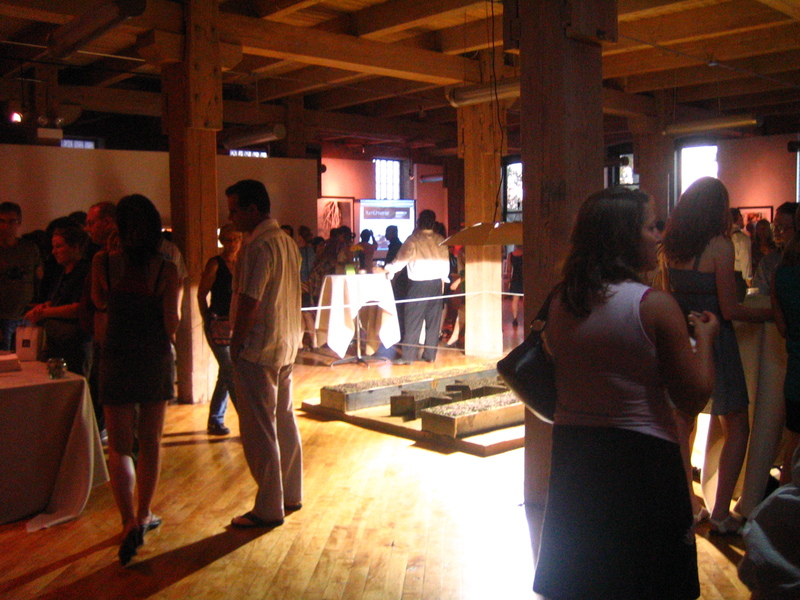 for a pre-summit blogger meet up at the Chicago Urban Art Society for the YumUniverse launch party. 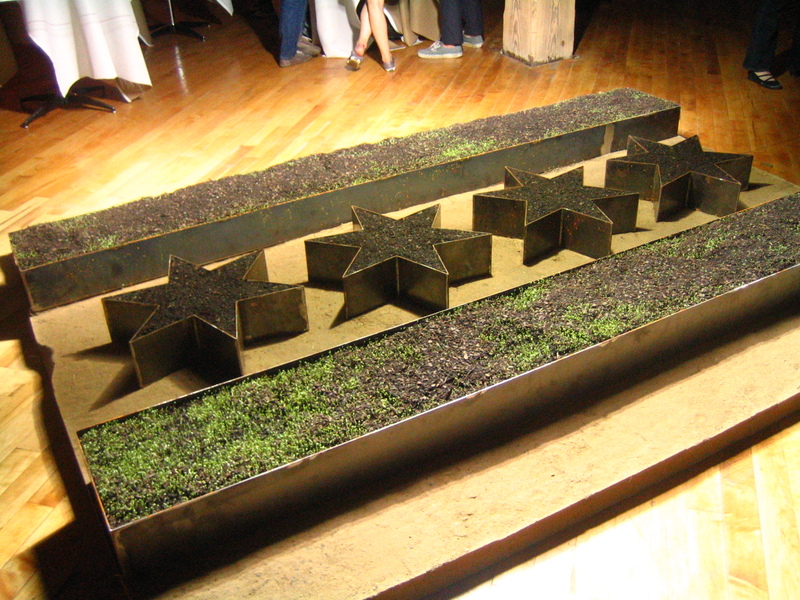 The space was really interesting with dirt and sprouts serving as the art installations. There was no A/C in the building so it got pretty hot and schwetty, but it was still fun. They offered samples of organic, vegan dishes with an emphasis on the environment. I’m definitely anything but vegan, but hey, I can roll with it for an evening! 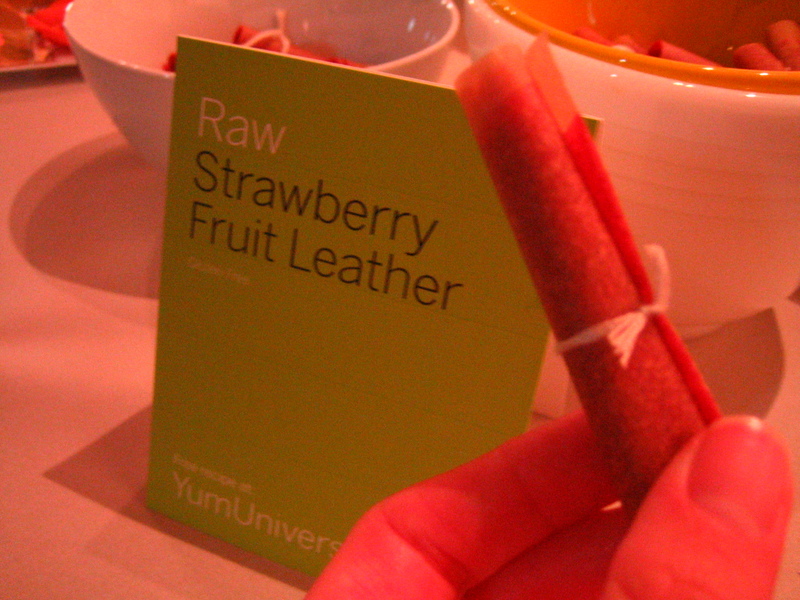 The strawberry fruit leather was really good- tasted just like a fruit roll-up from my youth! 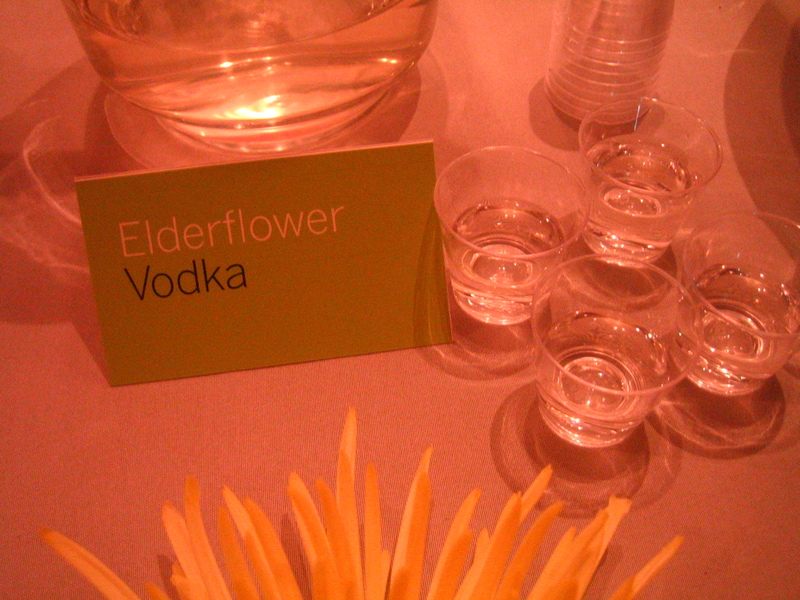 I also had a baby shot of elderflower vodka. Off to bed…work in the morning and then HLS cocktail party! What am I going to wear to the cocktail party tomorrow?? Eek!! Can I Get an “HLS”? Definitely living vicariously through all of you this weekend! I second that comment! Wish I was there. Hi, I think you and I are almost officially in love. I’m missing our shenanigans at HLS already! And thanks for driving us back to the hotel! You are amazing. Obviously.